What’s in a capsule? When you look at our Clean Seal Capsules, what do you see? There’s a lot that goes on behind the scenes to make a product look and feel this good. 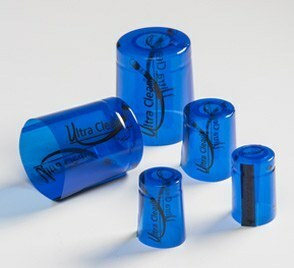 When we first introduced the Clean Seal Capsules, they were a clear capsule with our logo and a small tear-strip. It was a great first-try and our customers loved it! But they also made some excellent suggestions. One of the most common suggestions we received was to add a color. The Clear capsules just weren’t visible enough from a distance. So we chose a nice, cerulean blue. The second suggestion was a wider tear strip, or “pull tab.” The wider tear strip added strength and kept the tear strip in tact when pulling upward for removal. The last improvement we made was to lengthen the slits on either side of the tear-strip so that the pull-tab would be more easily accessible to grab. Mechanics in the field that wear gloves have no difficulty in grabbing the longer tear strip for removing the Clean Seal Capsule. The result is a much nicer, easier to see, stronger and more user-friendly capsule that incorporates our unique design. Customer suggestions have helped to make a more pleasing product! inventory of the clear capsules are depleted they will be replaced with blue capsules. 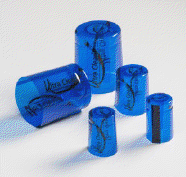 Customers may find that some orders will contain both Clear and Blue capsules until the ongoing change is complete.